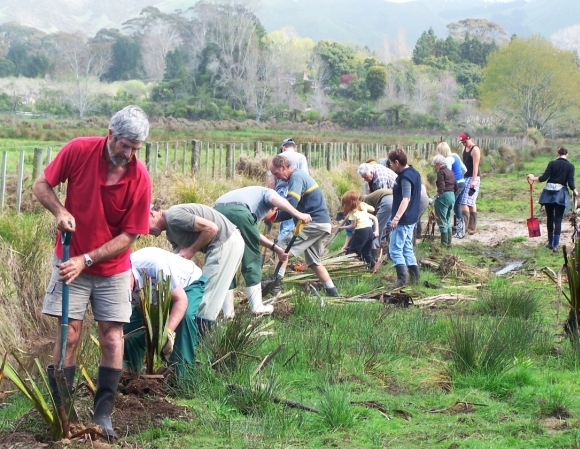 Today’s photo of the week is of volunteers planting harakeke/flax at Athenree Saltmarsh wetland near Tauranga. The Athenree and nearby Waihi Beach community have taken on a challenge to plant over 9000 plants at the wetland over winter. This work is part of a multi-year project to return farmland to wetland habitat for threatened native animals. Photo by Peter Huggins, Partnerships Ranger, Tauranga. On the morning of World Wetlands Day this year, I was lucky enough to be in one of the world’s most beautiful wetland habitats, Ōkārito Lagoon on the West Coast. At 7.30 am on a perfect West Coast morning, I took a boat trip, courtesy of Ōkārito Boat Tours, to explore New Zealand’s largest unmodified wetland. Despite being drawn back to Ōkārito time and time again I had never ventured out on to the lagoon. I knew the trip was going to be pretty special and it certainly didn’t disappoint, with an absolute blue sky allowing views of New Zealand’s highest peaks beyond glassy, reflective water and lush rainforest. We were all in awe of this insanely picturesque place and grateful to our guide, Swade, for opening this hidden world, inaccessible by land, up to us. International World Wetlands Day is celebrated on 2 February around the world—a day set in recognition by the Ramsar Convention for the worldwide protection of wetlands—and this year’s theme was Wetlands & Agriculture: Partners for Growth. In order to mark the day locally, DOC’s Franz Josef Field Base partnered with Ōkārito Boat Tours to offer seven, free boat trips for people living in the vicinity of Ōkārito Lagoon over the weekend of 1-2 February. The offer attracted 75 people (appropriately, many from rural/farming communities) from Fox, Franz, Hokitika and Haast all keen to get a glimpse of this nearby wonderland. 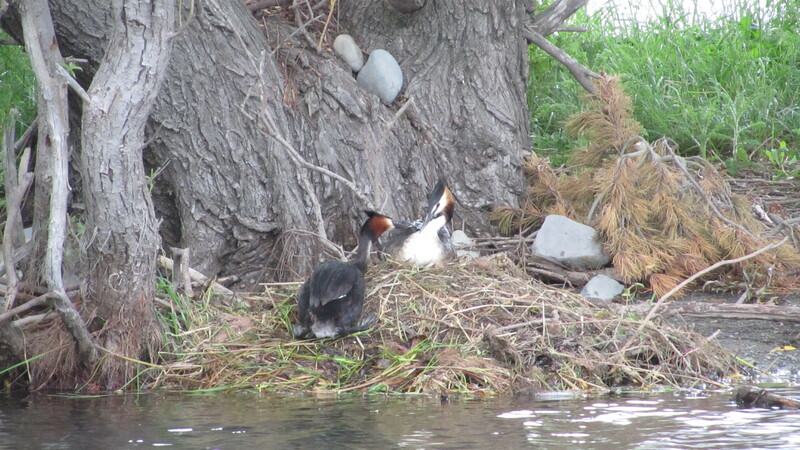 Since 2008, when Paula Sheridan and ‘Swade’ Finch began operating their boat tours, they have noticed how even small changes in weather, wind and water levels can cause dramatic changes in the behaviour and sightings of various birds. On this day Swade noted that wading bird numbers had been low this year due to unusually high water levels in the lagoon. We still managed to spot a good variety of birds including godwits, spoonbills, Caspian terns and several of the area’s, iconic kotuku/white heron whose only NZ breeding colony is located just up river near Whataroa. I was particularly excited by the very real possibility of seeing an Australasian bittern—but, sadly, no such luck. Things are looking up for the huge diversity of species that rely on this precious fragment of the Coast. 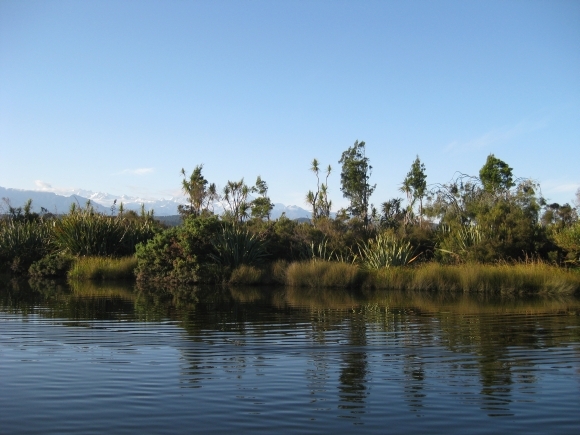 As part of its work to conserve the lagoon’s outstanding natural wealth, DOC has partnered with Air New Zealand Environment Trust (ANZET) on the four-year Glaciers to Wetlands project to restore the Ōkārito Wetland System. Part of the project has been the creation of a community nursery in Ōkārito. 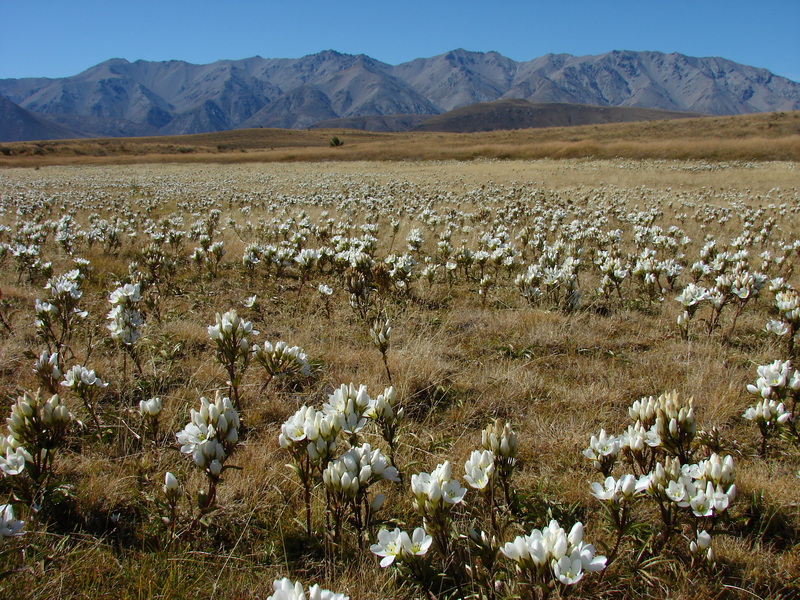 The nursery will generate all the native plant species required to replant the areas at Ōkārito and Lake Wahapo. To date, thousands of seeds and seedlings have been collected, and will be grown at the nursery with the help of the community and volunteers. Already planning for next year! As the sun rose higher in the sky and our boat returned to Ōkārito wharf, I struggled to think of a better way to celebrate the world’s vital and threatened wetlands. Paula tells me that plans for next year include land-based activities as well as the boat trips and sausage sizzle “so people can learn even more about the balance of this ecosystem and what it provides for all of us”. 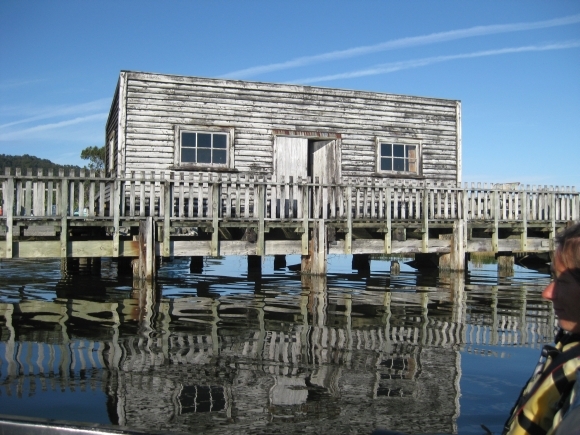 If you can’t wait that long, you might have to just get yourself to Ōkārito and check out the boat trips, kayaking, walks and kiwi tours available from this humble township for yourself. Yesterday (2 February) was World Wetlands Day. 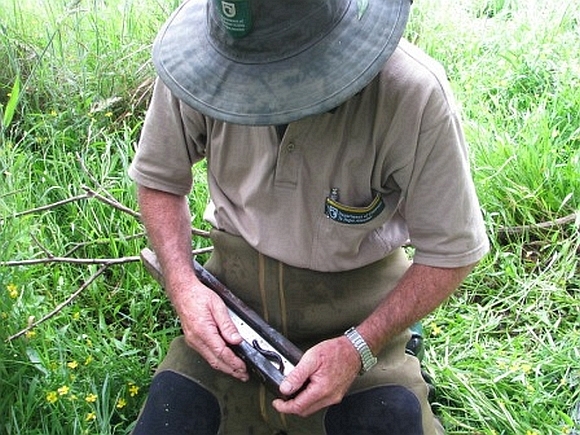 To celebrate, we’re putting the spotlight on Whangamarino Wetland in the Waikato. World Wetlands Day is held every year, on February 2, to mark the signing of the Ramsar Convention on Wetlands and the Day provides an opportunity to highlight the important role wetlands play in our environment. 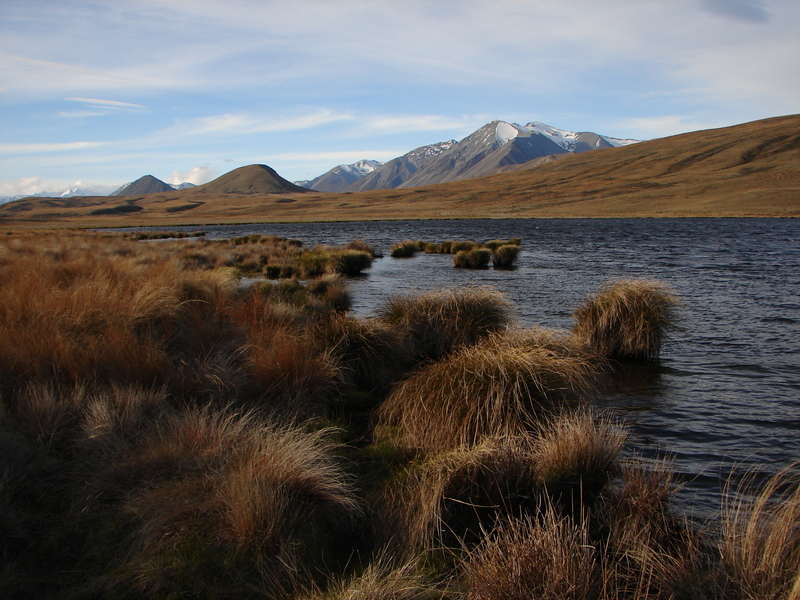 Whangamarino Wetland is one of the largest swamp and peat dome wetland complexes in the country at 7,000 hectares. 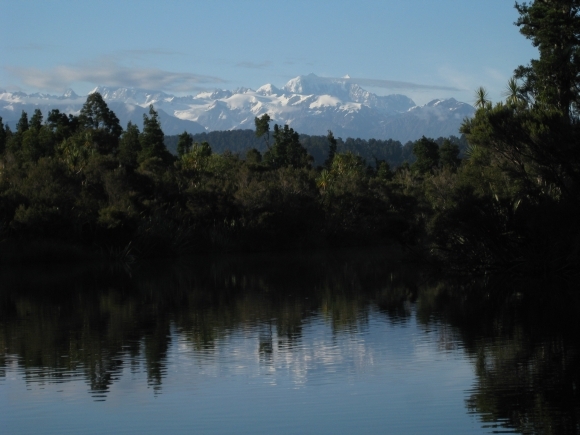 A Ramsar site since 1989, the wetland is also important to Waikato-Tainui people as recognised in the Waikato River Settlement. Australasian bittern/matuku, black mudfish and swamp helmet orchid are just some of the threatened species thriving in the wetland. Other species include marsh and spotless crakes, fern birds, dabchicks and various gamebirds, making it a popular spot for game-bird hunting. 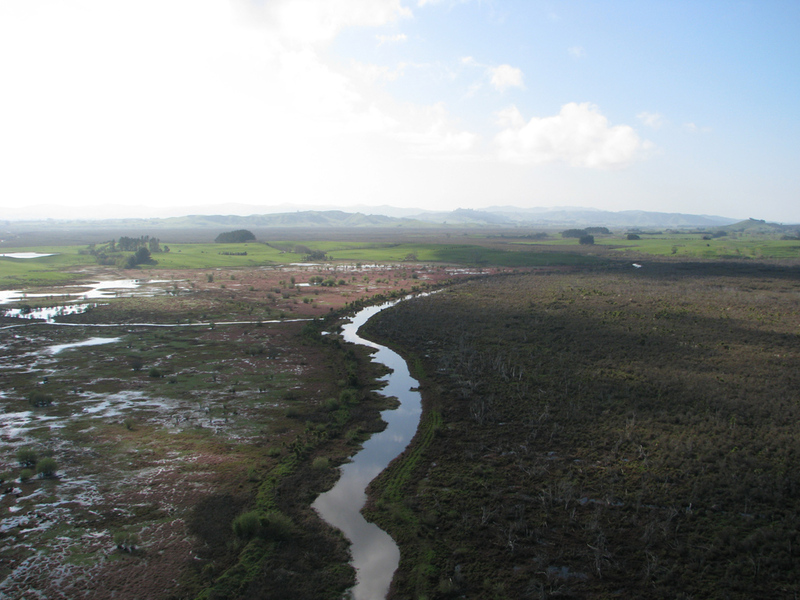 However, the wetland faces a number of threats, including excessive inflows of sediment and nutrients from the wider catchment, altered water levels due to the lower Waikato River Flood Scheme, predators, stock trampling and weeds. Despite these threats, large areas of raised peat bog remain in good condition, supporting communities of threatened wetland plants. 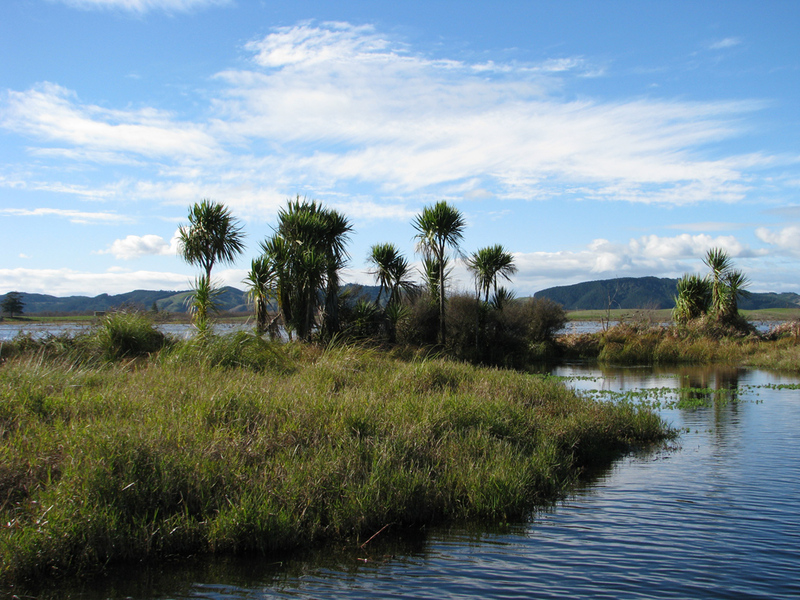 DOC has been implementing innovative wetland conservation initiatives at Whangamarino Wetland under the Arawai Kākāriki wetland restoration programme. 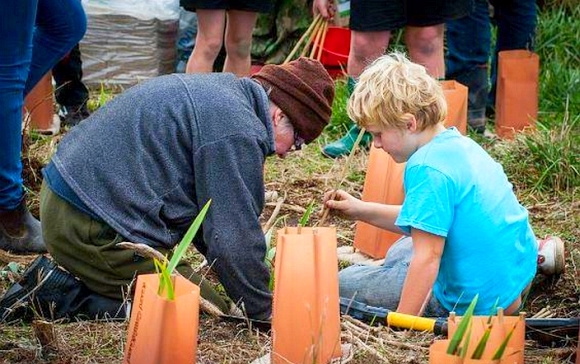 This week’s photo was taken by Pete Monk at a local planting day at Onoke Spit in the South Wairarapa. The Friends of Onoke Spit hold a yearly planting day in a gorse infested area at the beginning of the scenic Onoke Spit, clearing multiple plots of gorse to make way for native plants. Children from the local Kahutara Primary School, and others from the area, attend each year and make a major contribution to getting the plants in the ground. The young plants also get protective matting and covers to help them survive in the wild climate of the Palliser coast. What started as a way to link New Zealand school children with field work in Antarctica back in 1996, has now evolved into a chance for schools to take part in virtual field trips across the country via live audio link ups and an interactive website with video, a web board and ‘ask an expert’ posts. 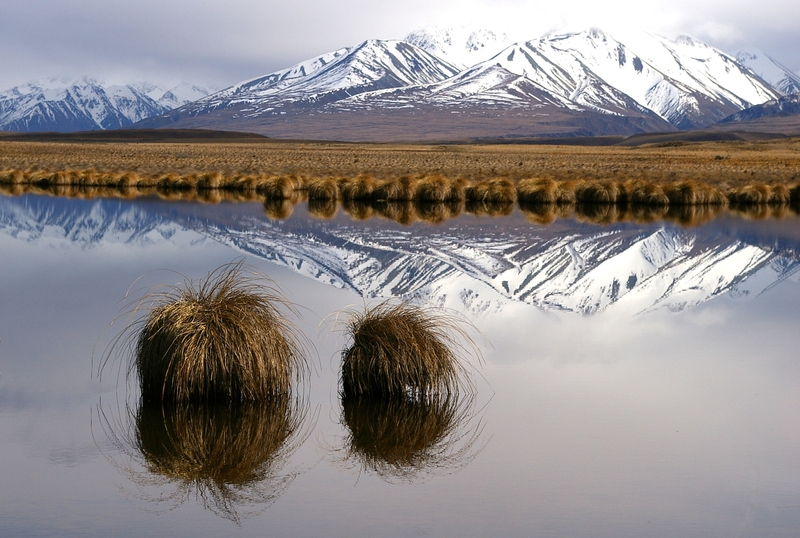 In its fourth year, the Far North field trip focuses on wetlands, with a strong Tikanga Māori and Te Reo component. 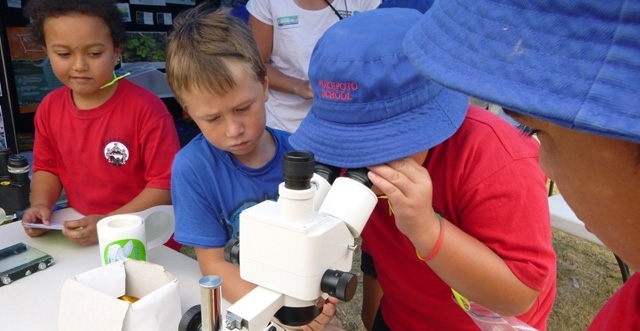 This year the focus of the Far North field trip was World Wetlands Day, held at Lake Ngatu. 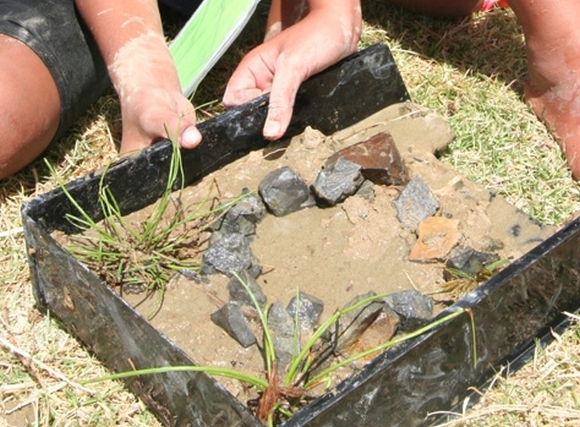 Schools from as far away as Dunedin joined in via LEARNZ, while around 160 students from nine Far North schools, and homeschoolers, actively participating in activities including a guided walk; investigating what species live in the lake; and traditional uses for natural resources found around the lake. Coordinator, Camellia Nielsen, whose team ran the snorkelling, says her goal was to help the children to appreciate their role as kaitiaki (guardians) of the wetland. 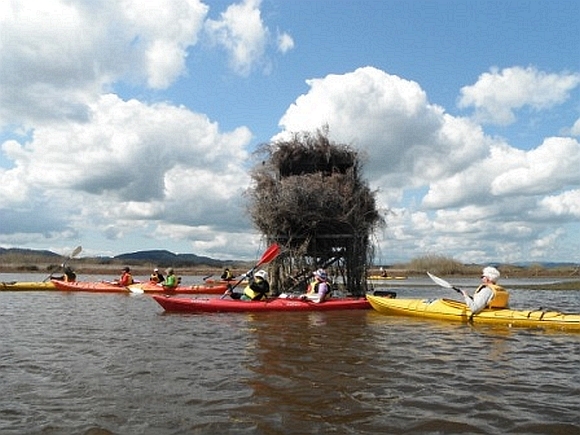 “It’s a hands-on demonstration of the value of wetlands as flood protection,” says Camellia. 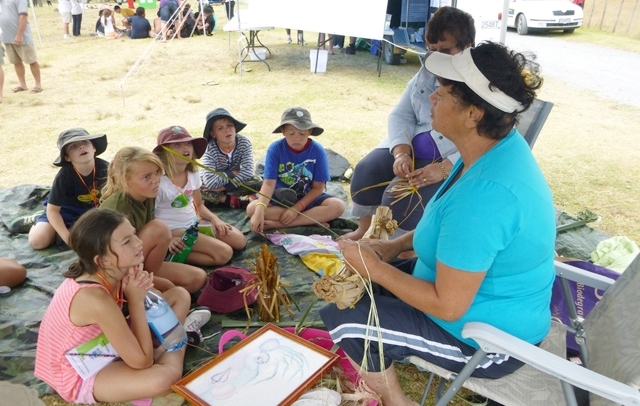 When quizzed about what they had discovered, Paparore School students talked about wetlands as also being places for holding water and providing habitat for native animals. This year is the first time that the classroom materials have also been available in Te Reo. 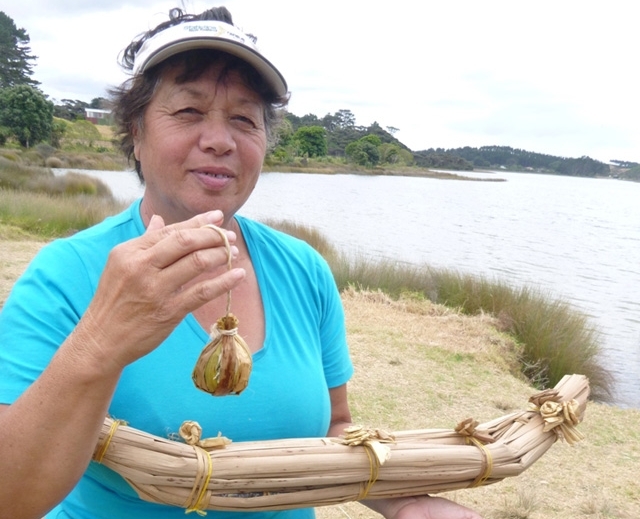 DOC Kaitaia’s Community Relations Ranger and key organiser, Denice Gilliespie, believes that the event showed the lake in a whole different light for the students. “They see how important it is to look after it so it sustains us all now and forever, recreationally and culturally,” says Denice. Lake Ngatu sits within the rohe of Ngai Takoto. Part of Ngai Takoto’s whakatauki (proverb) talks about the pioke (dog shark) being small in stature but still able to swim against the strong currents around it. 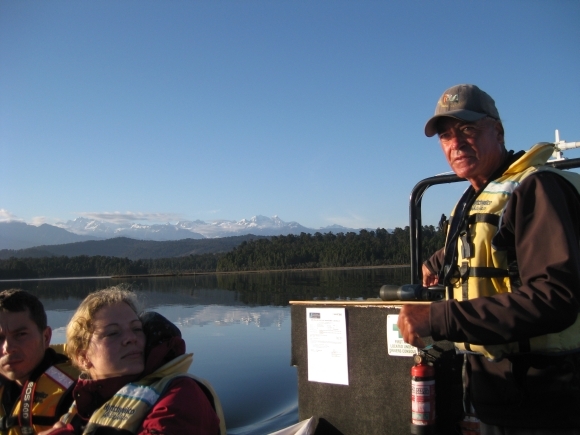 For Te Runanga O Ngai Takoto’s Environmental Manager, Kaio Hooper, this is an important reminder in his role and commitment to ensuring that the lake is protected and cared for, despite increasing environmental pressures on the lake’s wellbeing. 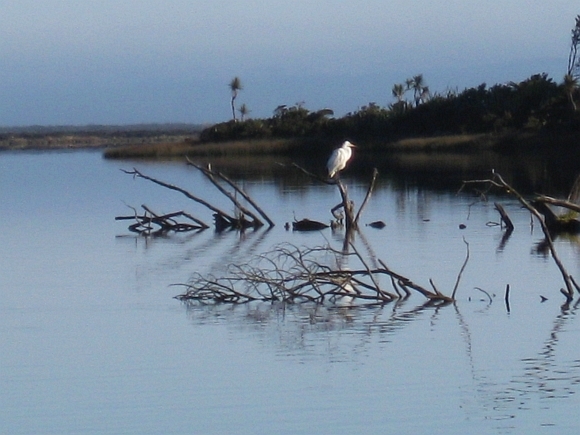 Although still ranked as outstanding, environmental monitoring indicates a decline in Lake Ngatu’s water quality, and an increase in pest species. Kaio says this is a case for concern for Ngai Takoto, as the kaitiaki of the lake. “For our people it’s not so much about scientific reports. They rely more on what they see, and they are noticing that the water is not as clear as it once was,” says Kaio. Kaio says Ngai Takoto is looking at ways they can address their concerns. To start the conversation, Kaio set up an information stall where people were asked to complete a simple survey focussed on understanding people’s aspirations and concerns for the lake’s health. “We’ve been watching the lake change over the past couple of years and it’s not good. We want to work alongside interested parties on a management plan, and the survey is a good starting point” says Kaio. World Wetlands Day at Lake Ngatu was a two day event hosted by Ngai Takoto and DOC, with support from Bushland’s Trust, Northland Regional Council, Mountain’s to Sea Conservation Trust and Clean Stream Northland. World Wetlands Day is an annual event held every year on February 2 to promote the value and vulnerability of wetlands across the globe promoted by RAMSAR, an international agreement to protect wetlands.